The quartet of first-year stallions at Calumet Farm in Lexington, Ky., have each been represented by their first foals. Grade 1 winner Keen Ice had a filly out of the Pioneerof the Nile mare Hidden Nile at Calumet Farm. The filly hails from the family of G2 winner Top Secret and G1-placed Kentucky Bear. Keen Ice, a 7-year-old son of Curlin, will stand the 2019 breeding season for an advertised fee of $20,000. He earned over $3.4 million during his racing career, highlighted by victories in the G1 Travers Stakes and G2 Suburban Stakes, along with runner-up efforts in the G1 Haskell Invitational Stakes, Whitney Stakes, and Jockey Club Gold Cup Stakes, and third-place finishes in the Belmont Stakes and Breeders' Cup Classic. Bal a Bali, a U.S. G1 winner and Brazilian Triple Crown winner, had his first colt, out of the unraced A.P. Indy mare Koko Pop. The colt's second dam is the G1 winner Got Koko, with a page that also features G3 winner J.T. 's Pet. 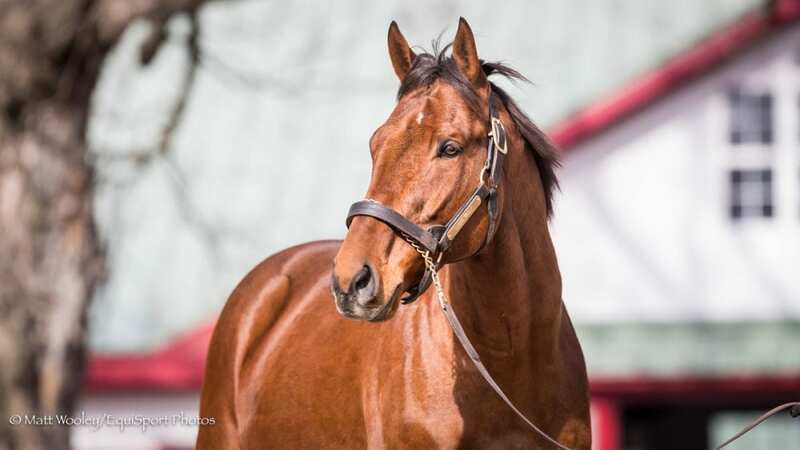 A 9-year-old son of Put It Back, Bal a Bali started his career as a top runner in Brazil, then relocated to to the U.S., where he racked up wins in the G1 Frank E. Kilroe Mile Stakes and Shoemaker Mile Stakes, as well as the G3 American Stakes. He retired with earnings of $1,258,268. Highfield Investment Group delivered the first foal by War Correspondent, out of the stakes-placed Pulpit mare B R's Girl. The mare is also the dam of stakes-placed Act, by War Front, and the family includes G1-placed Colorful Charades. War Correspondent, is a 9-year-old son of War Front, and a full-brother to Declaration of War. He earned victories in the G3 Appleton Stakes and Miami Mile Stakes. His 2019 fee is $5,000. Rounding out the group, Mr. Z's first foal arrived earlier this week, out of the unraced Point Given mare Point of Fact. Champions Storm Bird and Northernette are in the extended family, as well as G1 winner Storm Trooper. A 7-year-old Malibu Moon horse, Mr. Z stands at Calumet for $5,000. He earned $1,177,378 on the racetrack, with a victory in the listed Ohio Derby, and in-the-money finishes in the G1 Breeders' Futurity, Los Alamitos Futurity, and Arkansas Derby, the G2 Saratoga Special Stakes and Indiana Derby, and the G3 Sanford Stakes, Delta Downs Jackpot Stakes, and Southwest Stakes. This entry was posted in Bloodstock and tagged B R's Girl, bal a bali, Calumet Farm, first foals, Hidden Nile, Highfield Investment Group, keen ice, Koko Pop, mr. z, Point of Fact, war correspondent by Paulick Report Staff. Bookmark the permalink.